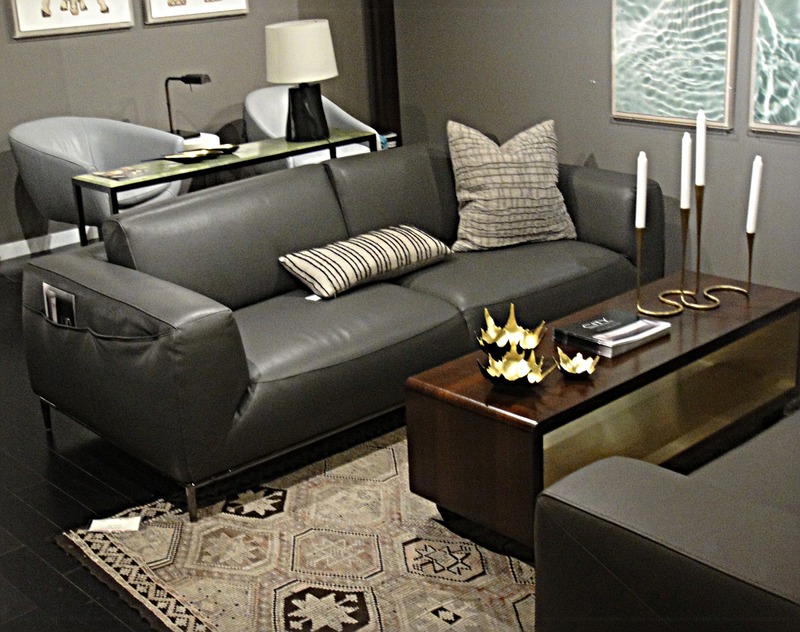 When the leaves start to change colors it's time to go furniture shopping! 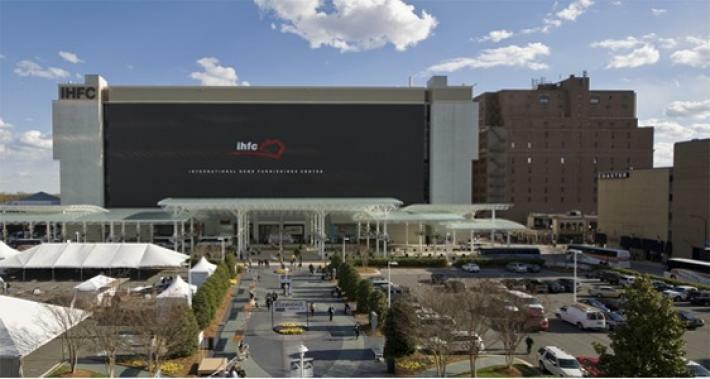 The October International Furniture Market in High Point, North Carolina runs the week of October 18 - 23. 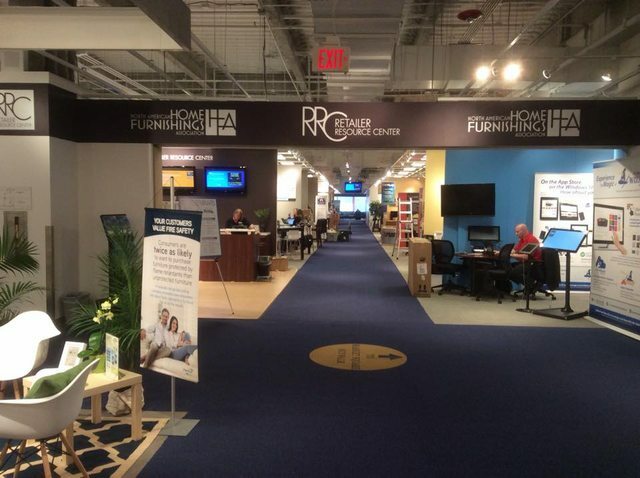 This is the grand daddy of furniture markets for retailers and furniture manufacturers. 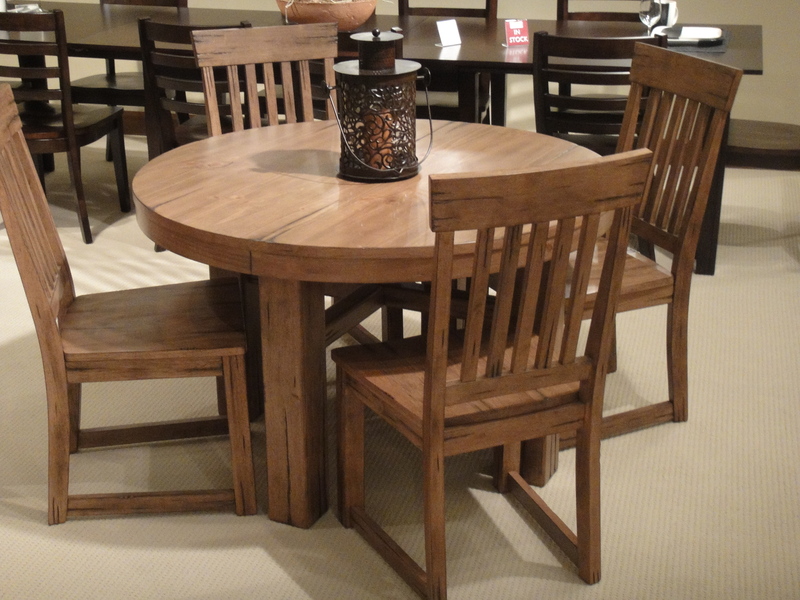 North Carolina was once a hub of furniture manufacturing in the United States. Many manufacturers had showrooms attached to their factories for visiting retailers to view and shop for new goods for their stores. As time evolved, the manufacturers began to consolidate showrooms into the central location of High Point, NC. The picture below is the main building for the show. 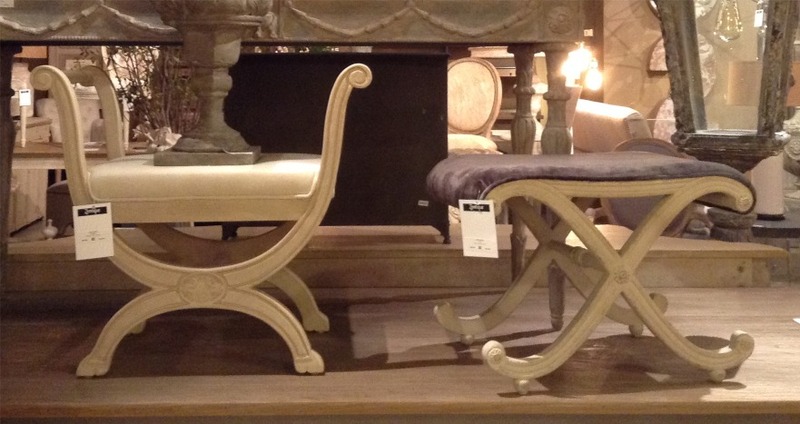 Click to learn more about the history of the furniture market . 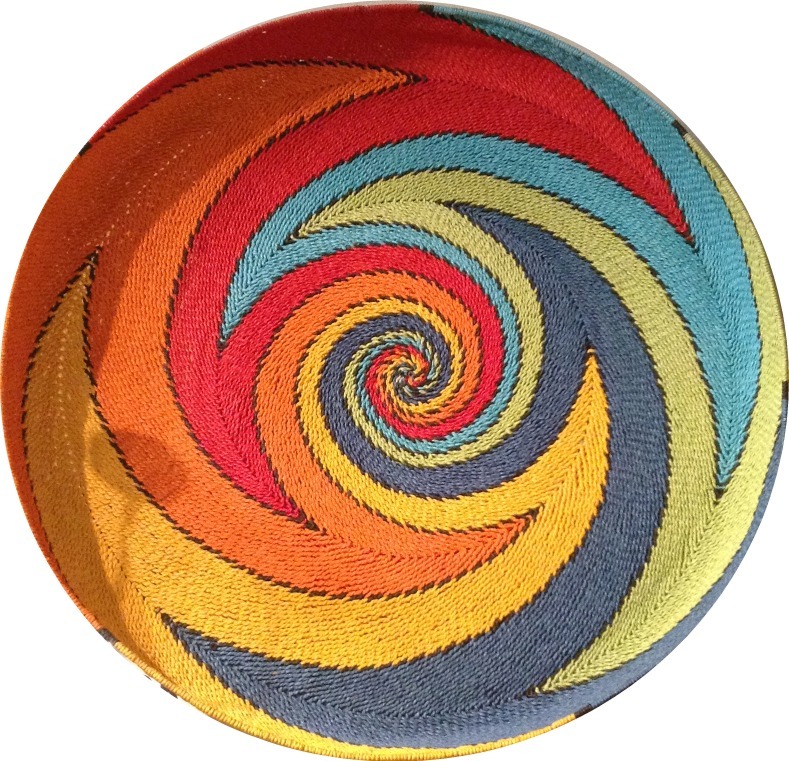 Furniche will be visiting this market to find unique ideas and trends in furniture and home furnishings. 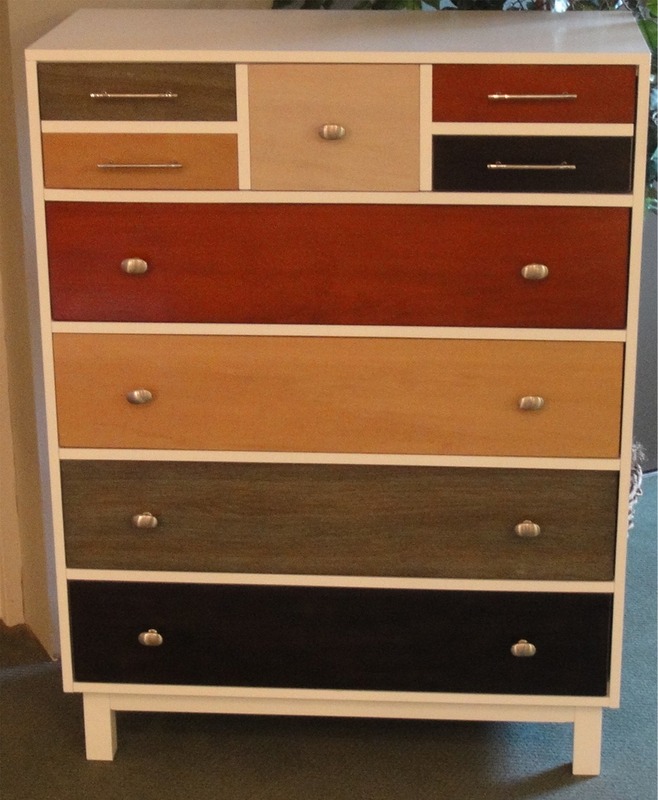 Return here to view photos of our furniture market finds. 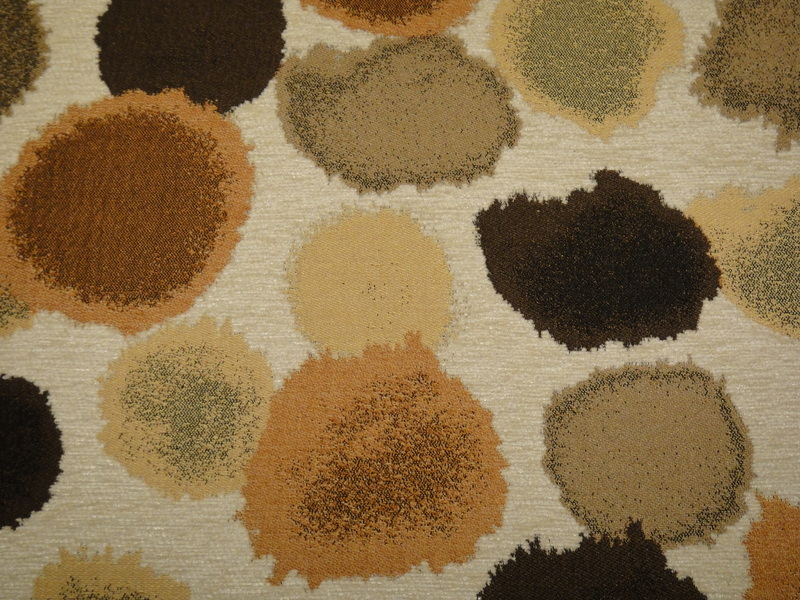 In addition, we will provide commentary on the trends and style directions that we uncover. 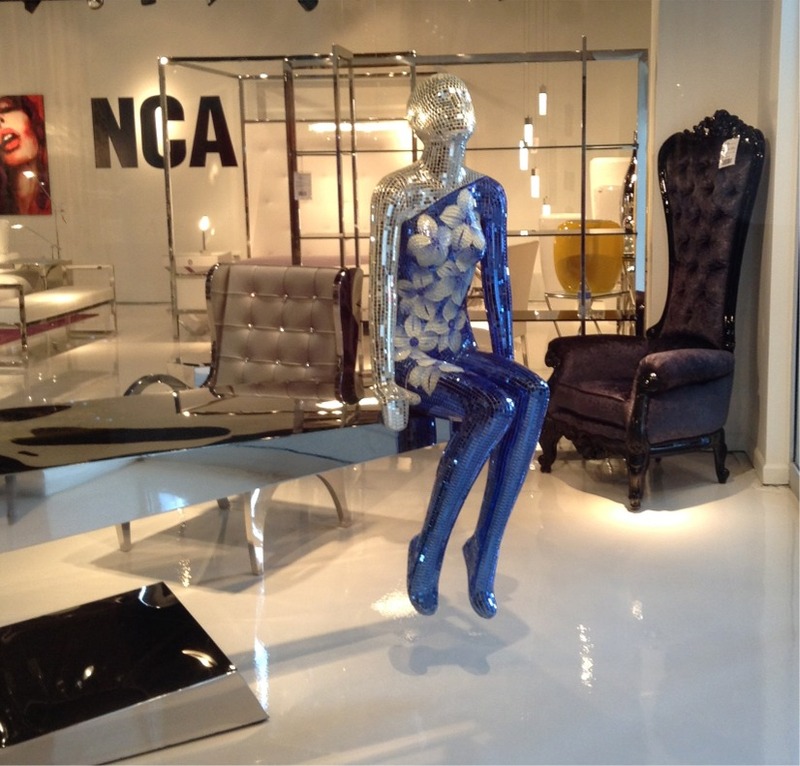 See what we have found at previous High Point and Las Vegas Furniture Markets. High Point April 2014, High Point October 2013, Las Vegas July 2014. Here are some of the product categories we will be finding at Market. Let's start out with some fun. 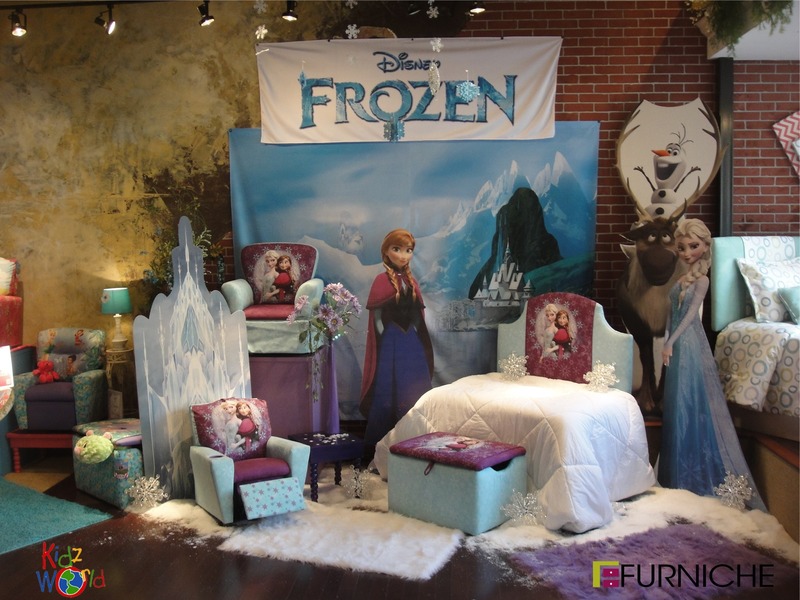 Kidzworld has some really cool kid's furniture and this "Frozen" display caught our eye. Check out their website. Although they do not sell directly to the public, you may find a dealer through their site. We met with Alison who is just a super nice lady and we thank her for letting us show you this photo. We ran into the folks at gamebeds.com and thought this bed was way cool. They were inspired to build this by one of the founders sons. 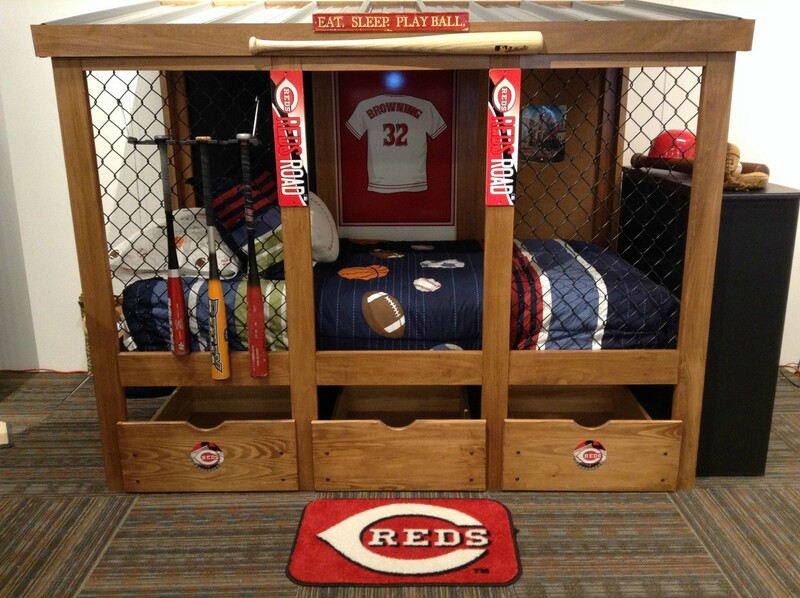 What little baseball loving kid wouldn't want to sleep in the dugout of their favorite team. Yes, the hockey version has a plexiglas top just like a penalty box. 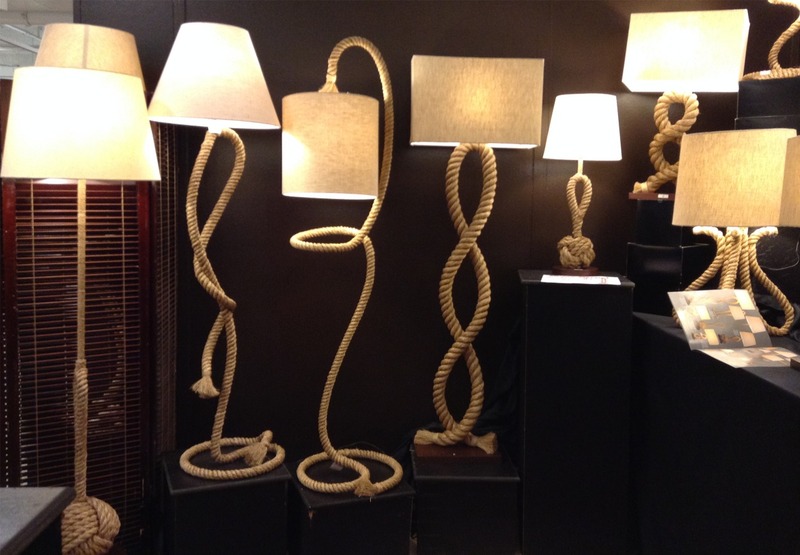 We thought these rope lamps were interesting. 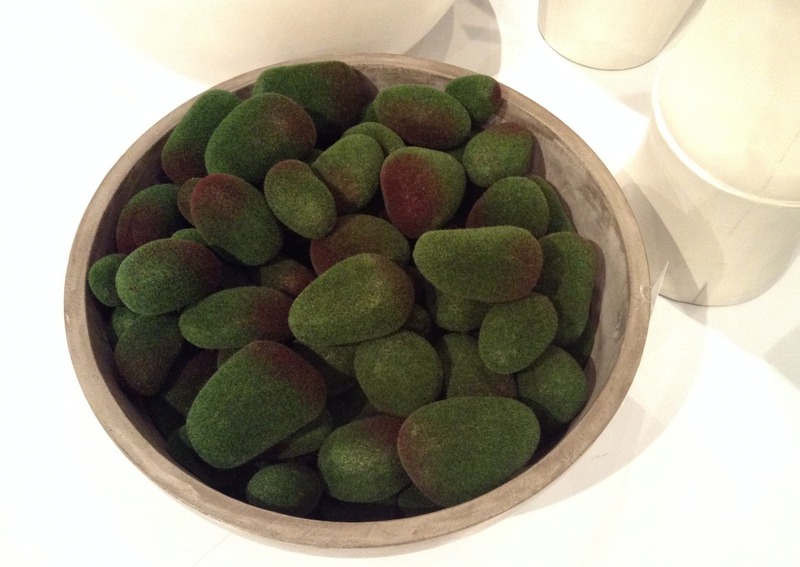 Faux Moss Covered Stones anyone? 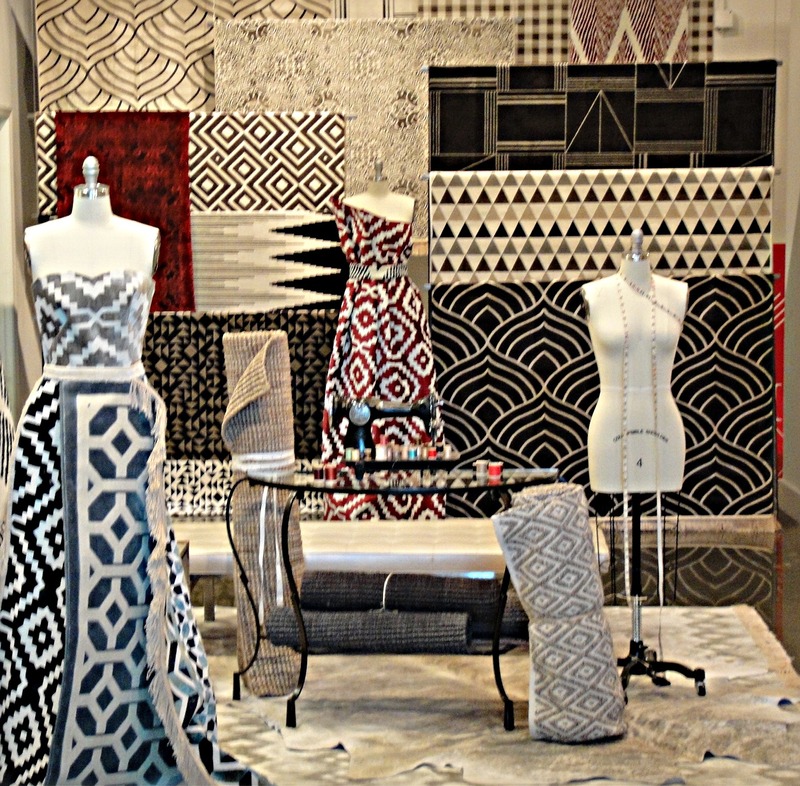 Dramatic entryway into a rug vendor. 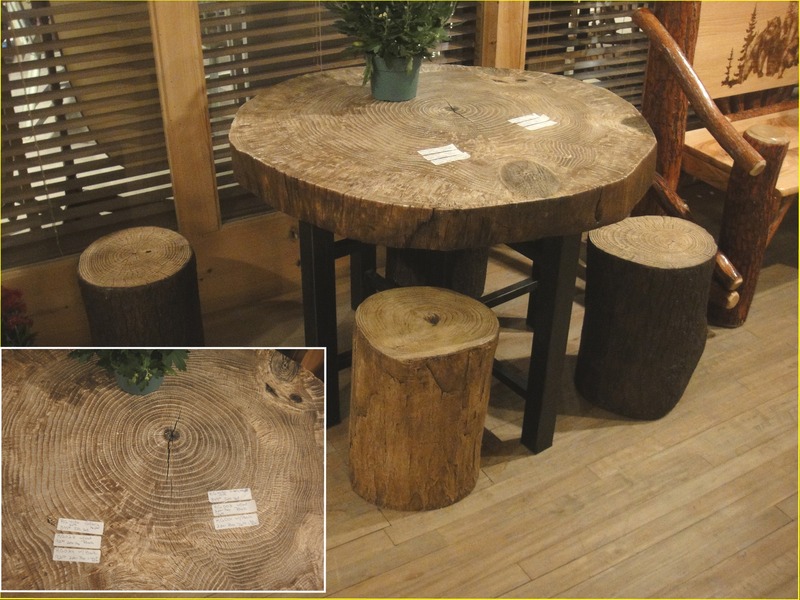 Looks like real wood and offered with or with out bark on the stools. Fooled us for sure. 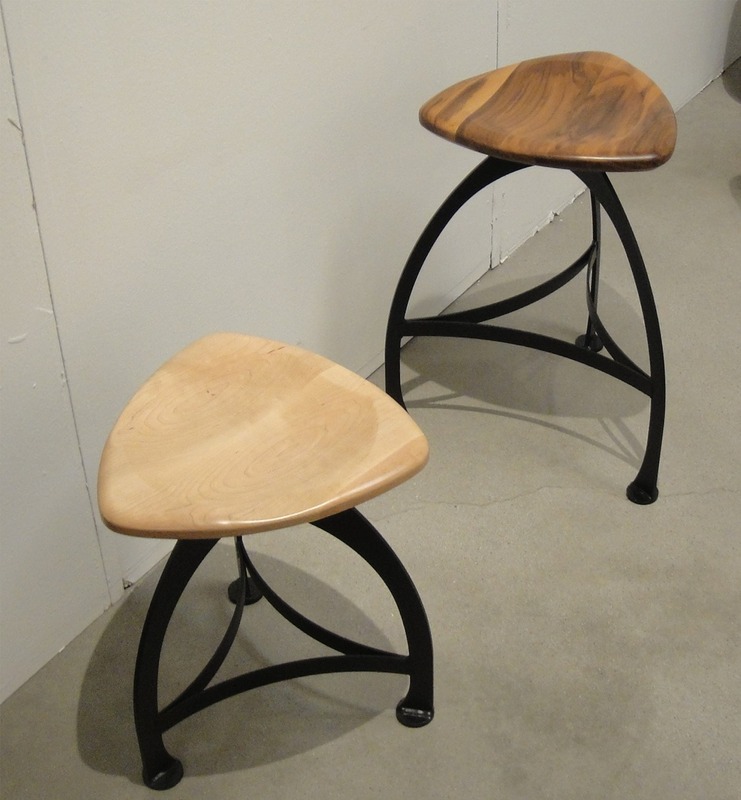 This table and stools is actually a poured resin process which is extremely lifelike. Furniche and Furnista did not see eye to eye on this set. Furniche loves the colors. 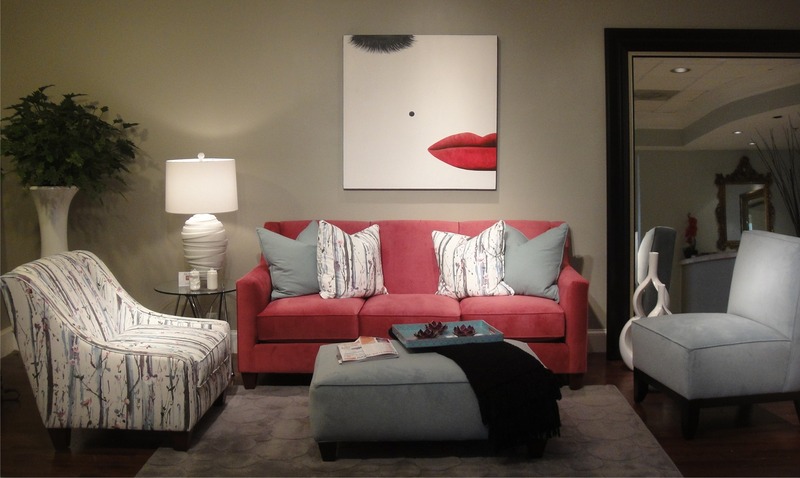 Regardless, the painting over the sofa created addtional drama in this display. Grown up for furniture for your kids. The different colored panels were actually different stains. I guess it could even be furniture for grown ups. 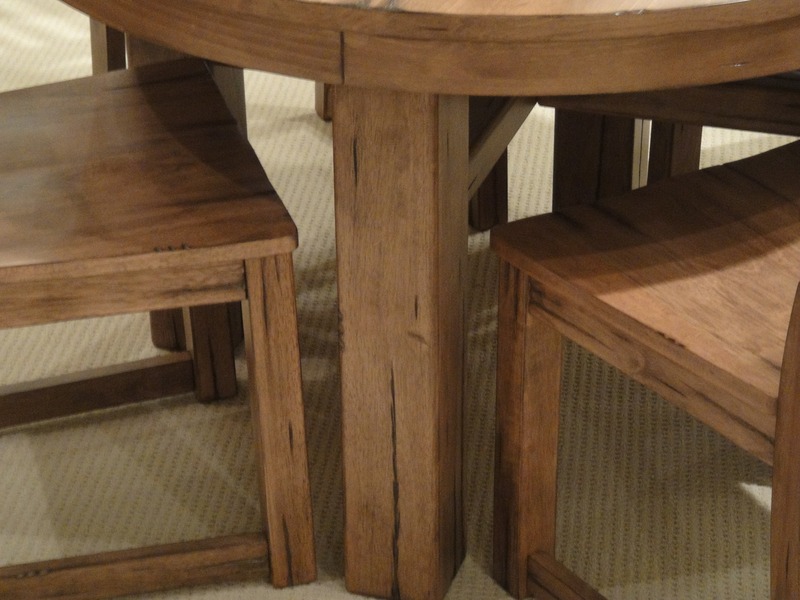 Big and Beefy legs on this dining set. Here is the whole set. Sturdy for sure. Built in magazine rack on this leather sofa. 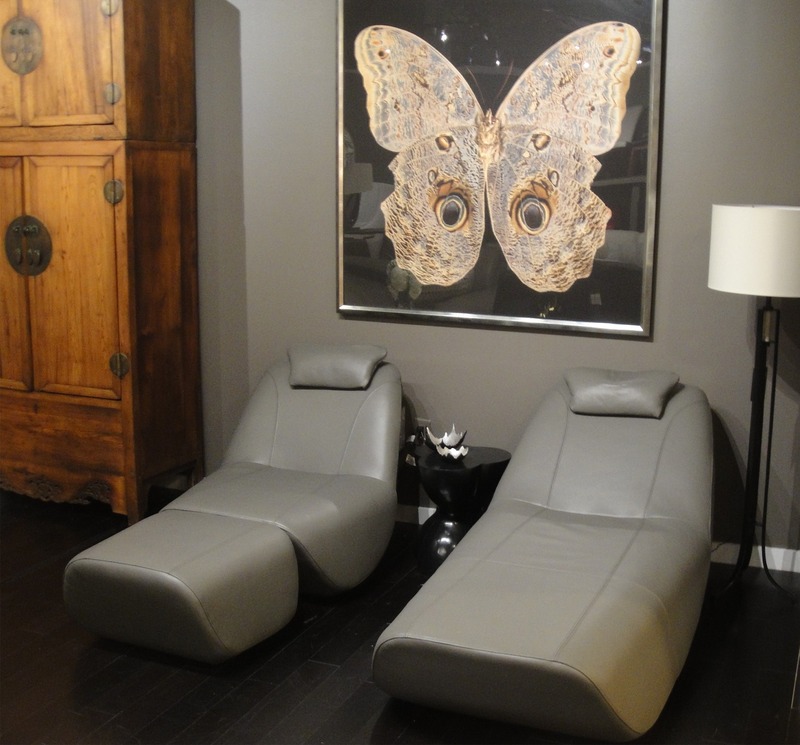 Interesting chaises plus the picture over them just seems right? Bold fabric we found on an accent chair. We found camo fabric popping up. Not our cup of tea but the prevalence of it suggests that it must be selling. 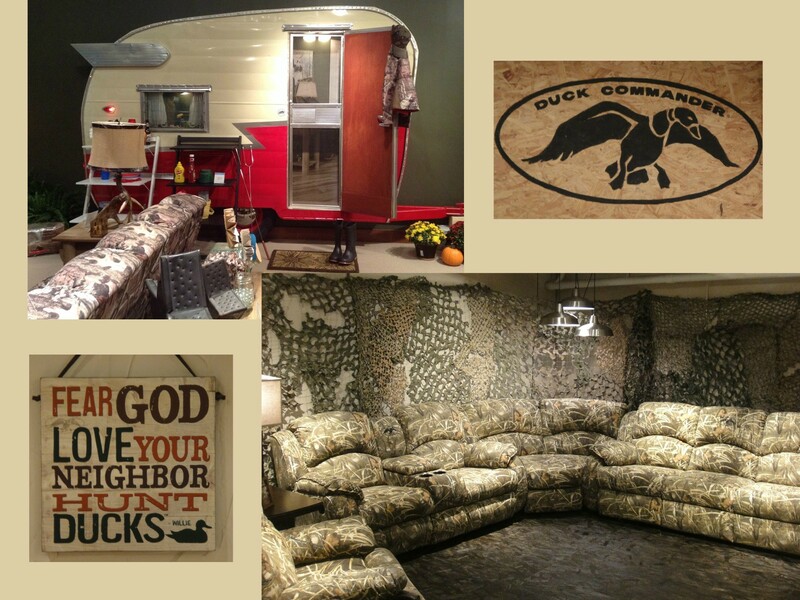 This montage is from our friends at Sauder and Southern Motion.